Shipping by US Mail is included in the price. Please don't order these for large quantities. 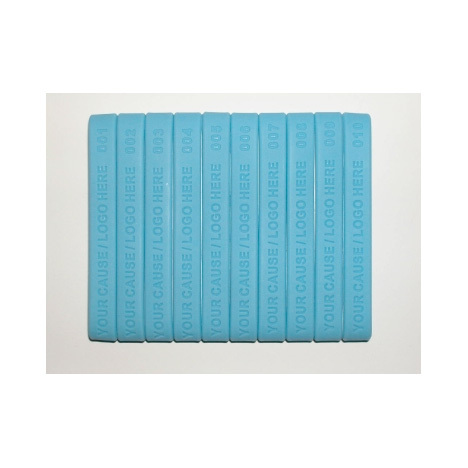 They are meant to be for small orders of one or two bags of 50 per color. Limited to stock on hand. 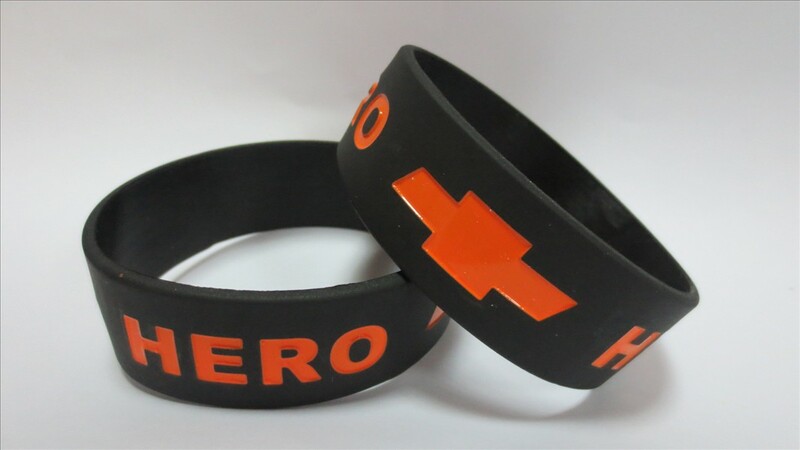 You can save money on bulk orders by choosing customized wristbands. Please call 253-841-4057 for quotes on custom orders. 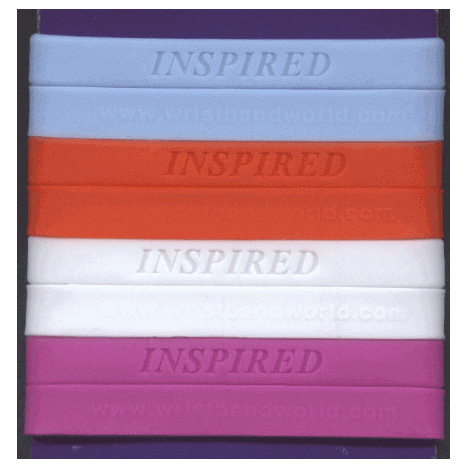 Inspire those around you with these high quality silicone wristbands that feature the word "Inspired" engraved into the wristbands. Available in an adult size, these eye-catching wristbands depict the American spirit of survival, compromise, and hope for the future. We love the idea of having a daily reminder to inspire others and find inspiration in our own lives! Wear them yourself, give them away to friends, or hand them out an event as an inspiring free gift. 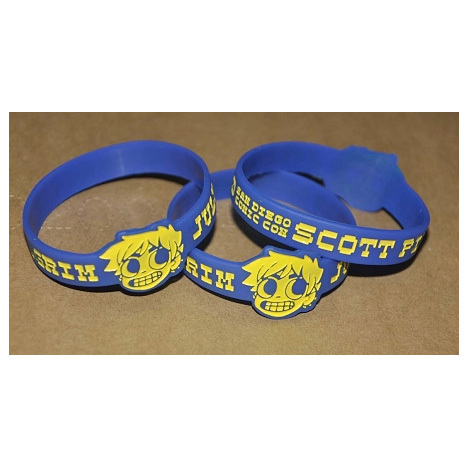 Wristband features: You will love the value that these fun wristbands offer. The rounded edges and smooth surface provide maximum comfort, and the stretchy material makes it easy to take on and off. Made of premium materials, you can wear these in the pool or the shower and it will not damage them. The pre-debossed text is durable and long-lasting. Contact us today for a free estimate and to find out more about our customizable options! 253 841 4057 1 Quantity = 50 wristbands.